If you’re a first-time home buyer, then you want to keep this checklist handy. Here are some of the more important things you should think about and look at when choosing the right home (or building one) since you want to make sure it is perfect for you and your family when the time comes to buy. By having a checklist and knowing the first steps, you can feel more confident being able to go through the process and know what needs to be done, regardless of which way you choose to go when it comes to purchasing or building a home. Do you want an open floor plan? Would you enjoy having a home that you can fix up? What are some specifics of a house you cannot live without? Example: number of bathrooms, bedrooms, fenced in yard, etc. 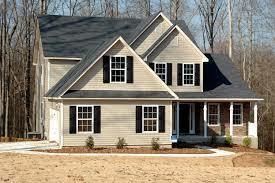 Have you spoken with a bank yet regarding the financing of your home? Choose to move forward with either a home buy or build with the right professionals. When working with someone every step of the way, you can feel more confident being able to have the home of your dreams, regardless of how you choose to go about it. Contractors Today has connections to the many home building contractors working in your area. Give us a call today or fill out the form below to learn more about them.